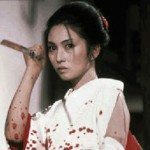 If you’ve been following closely, you now know one of the main purpose of this site: pay honor to female movie stars that have fallen in undeserving obscurity. I have in my possession a list of such personalities as long as my right arm; sadly, lack of biographical material and/or worthy pictures sometimes leads me to cruel cuts. On the other hand, when solid data is finally found, my heart bursts with joy at the single thought of sharing with you another page dedicated to a new and worthy inductee. Let us all rejoice: today is such a day. We’re going to have a little talk about Chelo Alonso. She was in no more than 20 films but had she played in only one, we still couldn’t forget her. She was born Isabella Garcia on April 10, 1933, in Central Lugrano, Cuba. At a very young age, it became evident that Isabella possessed a great talent for dancing. So her career path was already chosen, as the girl also promised herself that she would become a movie star. If dancing was the way to achieve that goal, so be it. With her skills (and some help from her measurements of 36-21-36! ), Isabella became a dancing star, known for her fiery sensuality. 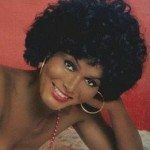 As Chelo Alonso, she toured many countries, including Havana, Puerto Rico, St.Domingo, Haiti… Of course, it was just a matter of time before she made her US debut in Miami. Then, on to New Orleans and Broadway. All this to finally enjoy the ultimate consecration: being the main star at the Folies-Bergères in Paris, where she was billed as the new Josephine Baker. Her sensual beauty and allure couldn’t escape movie producers and therefore Chelo Alonso soon became a celebrated star of Italian cinema. Luckily for us, she arrived on the scene just as a new genre was taking the world by storm. With the success of HERCULES starring Steve Reeves, the face of adventure movies would never be the same. Many follow-ups and (un)official sequels would see the light of day for years to come. Consequently, actresses with exotic looks became in demand… and this is where Chelo stepped in. In 1958, she made her movie debut as Erica the slave dancer and conspirator in THE SIGN OF THE GLADIATOR. It was only a secondary role, but she attracted mucho attention thanks to a torrid dance scene, to the point that her name and photograph became more prominent in publicity posters than those of main stars Anita Ekberg and George Marchal! The year after, Chelo could be seen in GOLIATH AND THE BARBARIANS, alongside Steve Reeves. This was Reeves’ follow-up project after HERCULES, working with a script about revenge which was quite brutal for its time. Chelo played Londo, the chieftain’s daughter. The film also contained a cameo by former KING KONG star Bruce Cabot(!). For this movie, Chelo was elected Italian Cinema’s Female Discovery of 1959, which became her busiest year of work. There were other adventure films to shoot, such as TERROR OF THE RED MASK which takes place in the 16th Century and involves a strange castle, THE PIRATE AND THE SLAVE GIRL as Princess Miriam and ATTACK OF THE MOORS (not the Moops, as George Costanza would argue). 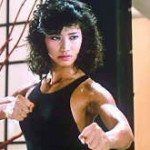 Chelo’s best scenes were, of course, when she danced around, but also she was becoming well-known to play characters with fiery tempers, as fans also enjoyed watching the actress getting enraged at some hapless hero. Soon around that time, she refused Che Guevara’s invitation to come back to Havana during the revolution, preferring to remain in Rome. In 1960, Chelo filmed a comedy, GASTONE, alongside two giants of Italian cinema, Alberto Sordi and Vittoria De Sica. The following year would see some noteworthy Chelo performances. For THE HUNS, she was courageous Tanya, Queen of the Tartars in the 1400s, nothing less! Then came MORGAN THE PIRATE, reuniting Chelo with Reeves, in the 17th Century high-sea adventure. Don’t miss that one! Finally, Chelo concluded 1961 with a film known by many names, but shown as ATLAS AGAINST THE CYCLOPS in the USA. This time she was Queen Capys, alongside hero Gordon Mitchell (as Maciste, in a Atlas movie, please dont ask…) and, yes, there is a cyclops somewhere in there. After the war movie DESERT WAR in 1962, Chelo withdrew from movie spotlights for a certain period of time to dedicate herself to television. She recorded a couple of songs and even took part in a cooking show, where the public could witness this great Latina beauty prepare a typical Cuban meal of rice and chicken! In the years to come, she came back for only a handful of films, playing a mute role in THE GOOD, THE BAD AND THE UGLY, probably her most widely seen work around the world… pity that the average viewer is still exposed to her for a part of such minimal screen time. Then came another spaghetti-western, BIG GUNDOWN 2. Finally, her last credit remains NIGHT OF THE SERPENT in 1970, co-starring Magda Konopka. After the death of her producer husband, Chelo semi-retired, remaining with her son Aldino and starting a cat-breeding business. She opened a small farm in the Italian region of Senese, which became a luxurious hotel. She completely retired from screen work, but still enjoys reminiscing from time to time for magazines (as it happened in 1991 for People). Her cousin Dominique Alonso was set to prepare a biography sporting the title Central Lugareno. What became of this project? 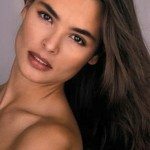 One of the most astounding beauty of her time (or any time, in my view), Chelo Alonso lit up the screen everytime she appeared before a camera. That gorgeous figure, those amazing cheekbones, that heavy mane of hair… all elements to nominate her at the Pantheon of Immortal Movie Goddesses.